WhatsApp, which has more than a billion daily users. is putting a global limit of five on the number of times a message can be forwarded in an effort to fight the spread of rumors and misinformation on the social network. "Starting today, all users on the latest versions of WhatsApp can now forward to only five chats at once, which will help keep WhatsApp focused on private messaging with close contacts," a WhatsApp spokesman said in a statement, confirming a Reuters report. WhatsApp users were previously allowed to forward a message 20 times. The spread of misinformation has been a persistent problem on Facebook-owned WhatsApp and other social networks. Social media giants such as Facebook and Twitter are still grappling with the revelation that Russia-linked social media troll accounts may have influenced the outcome of the 2016 US presidential election. Whatsapp began testing the message limit in India in July following a spate of mob violence and lynchings in that country blamed on misinformation spread on the social network. 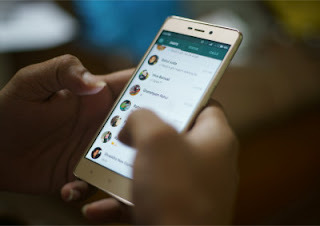 On July 1, five people were reportedly lynched in Dhule, India, after a rumor circulated on the app that they were child abductors. At least 12 people were beaten as a result of similar messages. "WhatsApp carefully evaluated this test and listened to user feedback over a six-month period. The forward limit significantly reduced forwarded messages around the world," the WhatsApp spokesman said. "We'll continue to listen to user feedback about their experience, and over time, look for new ways of addressing viral content."